" Appreciate the compact size, so I don't have to lug gallon jugs. " 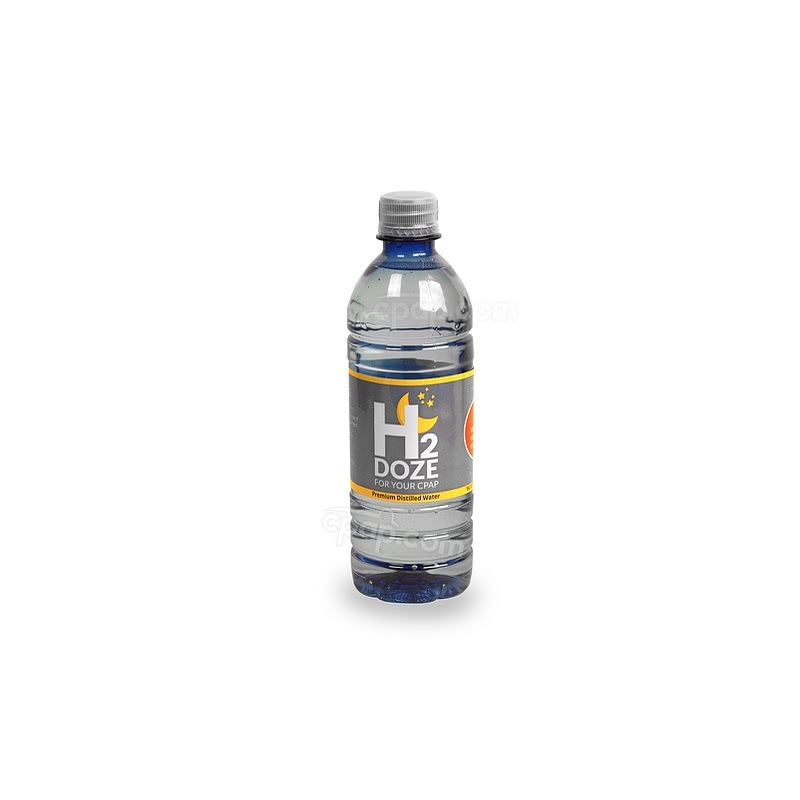 The H2Doze Premium Distilled Water 16.9 oz Travel Bottle is the perfect travel alternative to bulky gallon bottles of distilled water. It can be tucked away discreetly in suitcase or luggage, making H2Doze ideal for camping trips, airline flights, and hotel stays. 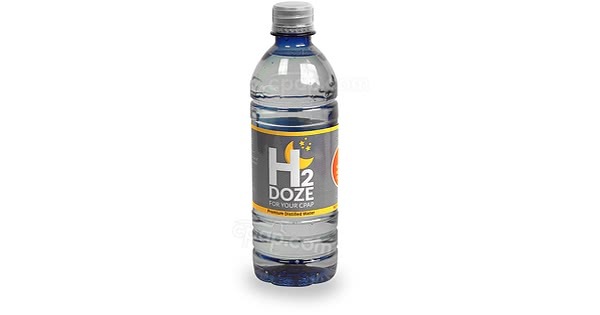 The H2Doze Travel Bottle is small and discreet enough to fit in a luggage, suitcase, or purse, allowing anyone to travel without having to worry about bulky gallons of distilled water. The bottle is 16.9 oz (500 mL), which for most humidifier chambers is enough for two nights use. Ideal for bringing along with a Travel CPAP system, the H2Doze label states “Medically Necessary for CPAPs", which when accompanied with a CPAP device has shown to be allowed through TSA security to be carried onboard a flight. It is recommended to empty and clean the humidifier chamber after each use, to ensure the cleanest air and to prevent buildup.